Meet us in Seoul: ETIA takes part of business Mission in Green Energy Technologies to Korea from 29 January – 2 February 2018. We are proud to be a part of EU Gateway | Business Avenues Business Mission in Green Energy Technologies which takes place in Korea from 29 January to 2 February 2018. Our company is strongly focusing on development abroad and will participate to EU Gateway events in order to develop and increase its international presence. ETIA is looking for new business opportunities as well as getting in contact with potential partners for developing a strategic partnership in new regions. We also have very positive experience with earlier missions organized by EU Gateway. During this exhibition week, as one of the selected European companies, we will be showcasing our products and technologies to the potential business partners. 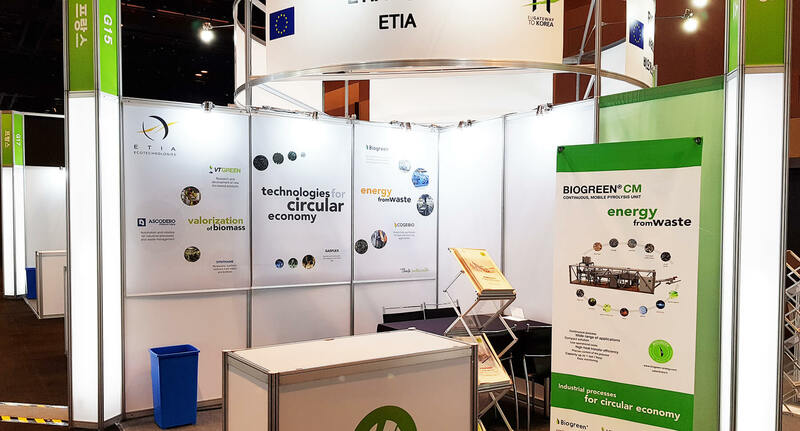 We will be promoting Biogreen®, as a flagging product of ETIA, which is patented pyrolysis process operating since 2003, which for more than a decade works for converting biomass, plastics and waste, into energy and useful products.